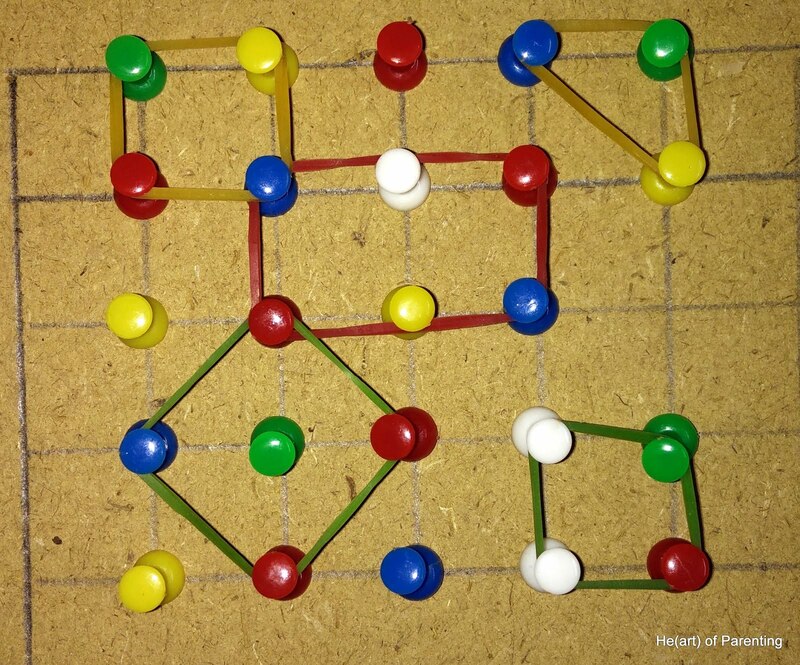 This activity is quite simple to make as well as enjoyable by children of various ages. 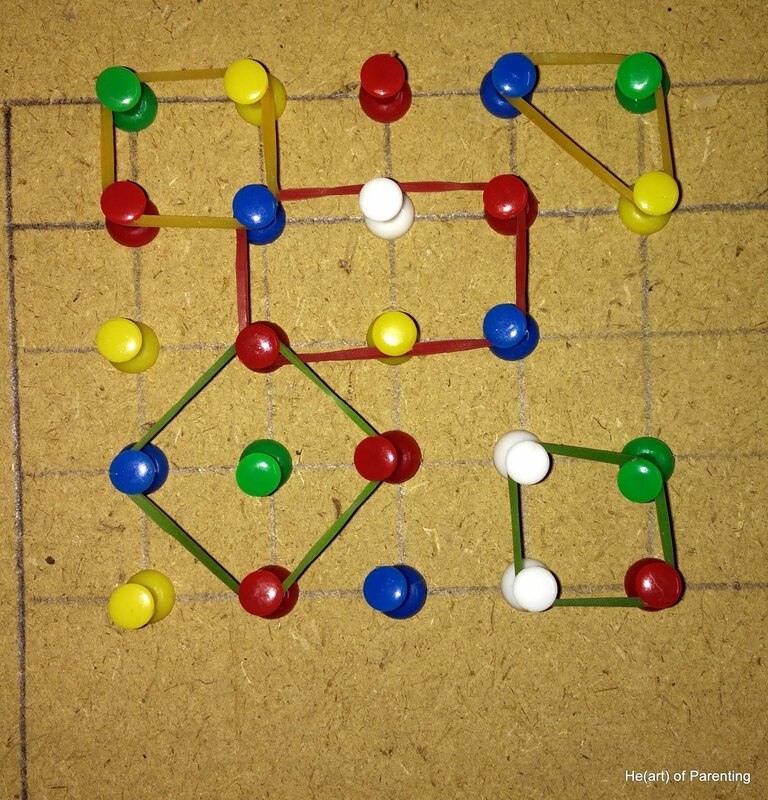 Little ones could make basic shapes and older ones could make more shapes like pentagon, hexagon etc. along with the basic ones. 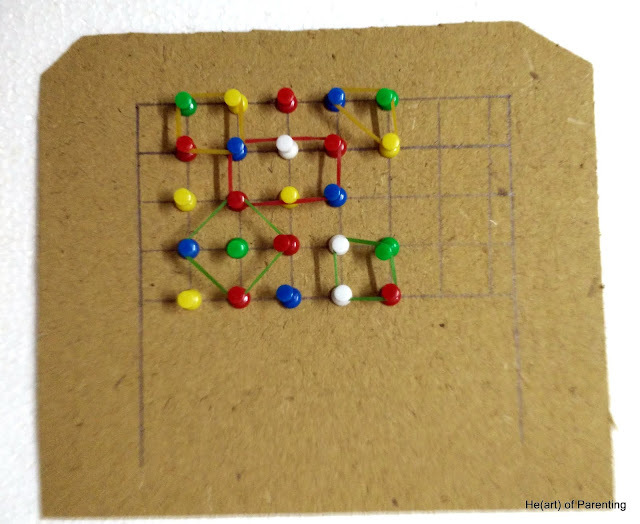 Make a 5x5 or 8x8 square matrix with push pins on the cardboard sheet. 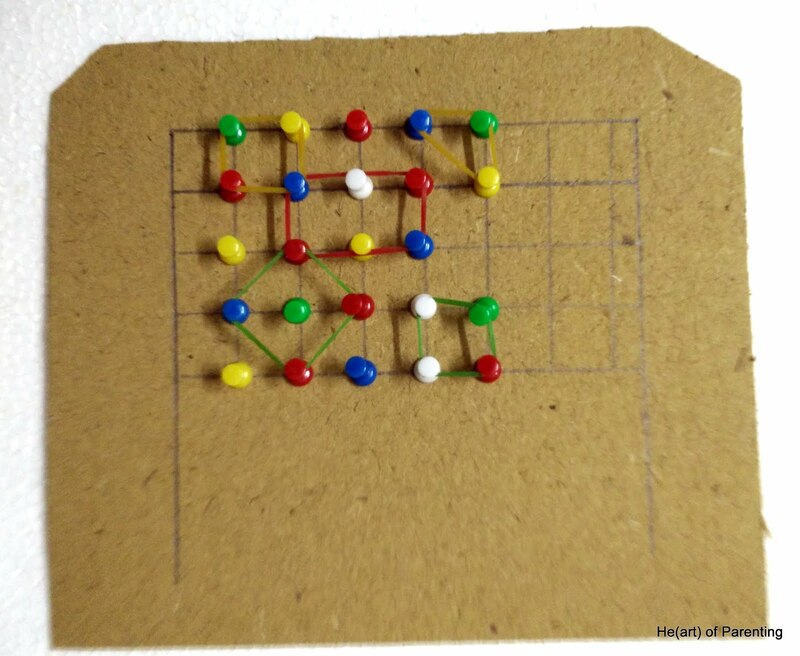 You could first draw the matrix by hand and then insert the push pins at every point. Ask your child to make various shapes with rubber bands pulled along the pushpins. You could try these: Triangle, Square, Rectangle, Trapezium, Parallelogram, Diamond, Pentagon, etc.